Dr Abert Lee is a graduate of the University of Washington School of Dentistry. He attended Whitman College for his undergraduate studies and earned his Bachelors of Science degree in chemistry. He is a member of the American Dental Association, Washington State Dental Association, and Seattle-King County Dental Society. While being dedicated to providing outstanding dental care to his patients, Dr. Lee also takes great joy from the relationships he has established with his patients. He believes that a great dental experience also includes taking the time to build trust with his patients so that everyone who comes into his office is like an old friend. 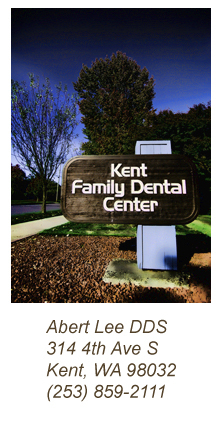 He looks forward to meeting you and to help you in your journey to a beautiful, healthy smile.